Social media is a critical business communication platform. Social media has overtaken search as the place prospects turn first to research potential purchases. Social media is where your target audience including your prospects, customers, influencers, end users and thought leaders spend their personal time. If they’re on social media, you must be too. Don’t think this just applies to B2C purchases. It doesn’t. Many companies have a difficult time building their social media presence and increasing interaction. Who would you prefer engaging with on social media, your best friend or a company looking to sell you something? The answer is a no brainer. As Pew Internet’s 2014 Social Media Research revealed, people use Facebook to connect with people who are important to them in real life who they view as peers, and with whom they’ll share unfiltered information. How do you get around this social media business challenge? The answer is in your office. It’s your employees. Even better, you can leverage this resource regardless of how big your firm is. Employees are the major social media opportunity most businesses overlook. You consider your employees to be company workers who don’t know any thing about social media unless they’re in your marketing department or under 30. 1. Leverage your employee’s personal social media networks. This will help to quickly broaden your organization’s reach because the median number of Facebook friends among US Facebook users is 155 of which 50 are actual friends. These Pew Internet results closely fit Dunbar’s findings. Dunbar found the number of relationships an individual can maintain is 150, of which a third or 50 individuals are close friends. Even if a third of your employees refuse to participate, you can still increase your reach 100 times the number of employees you have. 2. Tap into area expertise. 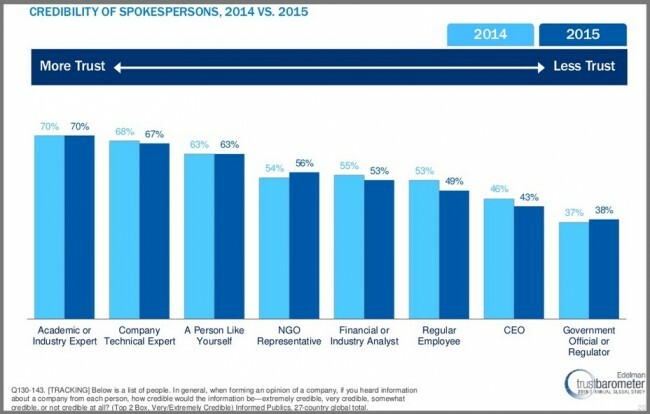 Edelman’s Trust barometer revealed that prospects and customers trusted internal experts, especially in technology. Therefore your employees’ social sharing improves its ability to get consumed. 3. Deliver your message via trusted resources. Your message has improved chances of attracting attention since it’s not coming from a corporate social media account but a personal one. Even better, the individual is a trusted source. So how can you tap into this amazing resource without seeming pushy or promotional? 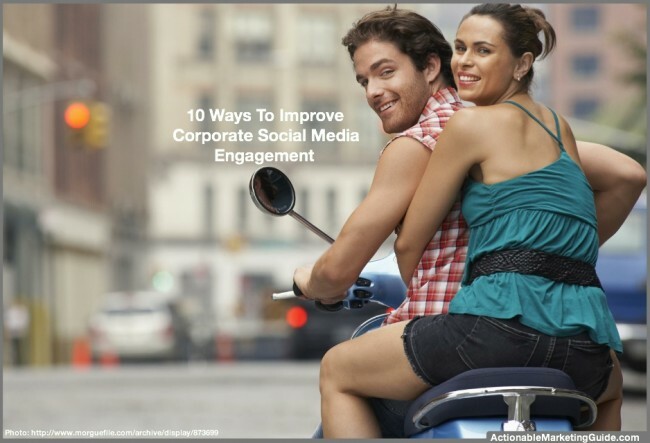 Here are 10 tips to entice employees to improve corporate social media engagement. 1. Create and distribute a set of social media guidelines. Define what’s acceptable and what’s off-limits for your employees to share about your organization. Here are 17 social media guidelines to use as a basis. Don’t make the document so overwhelming and chock full of legalese that no one reads it. If multi-national pharmaceutical company Roche only has 14 social media guidelines. Does your business need more than that? If your legal department has an issue with developing this type of document, show them what Roche did. Create a social media crisis plan. You’ll need this whether or not your employees are engaged on social networks. An issue can turn into a firestorm that impacts your business based on location or related businesses even if you’re not on social media. 2. Train employees to share your content and participate on your social media sites. Don’t assume your employees know how to represent your brand on social media networks. This is why you can’t hire a college intern to run your social media program. Show your staff the tricks of maximizing social media findability and sharing. 3. Give employees permission to share content about your firm on social media. Understand that you can’t force the people within your firm to participate on your behalf on their social media presence. Since social media is personal. The decision has to be theirs, not yours or you’re acting in direct contradiction to social media expectations. Reward employees. Give your employees a reason to participate on social media. Don’t assume that they’ll do it on their own. Where appropriate, incent them to share your content on social media. 4. Help employees create amazing personal presence on social media. Since you want their shares to gain traction and reflect well on your firm, give them the resources to attract attention. 5. Take professional photographs of all of your employees. Get a photographer to take photos of everyone in your company on a set date. This is particularly important for LinkedIn where UMass Dartmouth research shows small businesses get the most traction. Make the photo shoot into a fun event. Announce it so employees dress appropriately. You don’t want employees photographs to look like they’re going to a funeral. Include fun and team photos as well. Get some branded props. This is important to keep your brand constant regardless of where they appear. Add the outtakes from your social media stream. Get employees’ permission to use the photographs on social media and other company content. Give them access to the photos for their personal use. Add the disclaimer that they can’t use them to make fun of your firm. Again don’t be too legal about it. 6. Spotlight employees on social media. As part of your social media efforts, spotlight your employees with star billing. The goal is to make them feel special so that they share the content with their social media connections. 7. Brainstorm ideas for social media content. Gather ideas for social media. Make the activity fun and involve everyone. Focus on getting the most ideas possible before you start to edit them or you’ll miss interesting opportunities. 8. Announce to employees when you’ve got social media content to share. Don’t assume everyone in your firm is aware of new content publication. Send out fun internal emailings to alert them. Make this content fun to open read and share. 9. Use a standard company email signature file. The beauty of this tactic is that everyone in your firm has an email address and you don’t need their permission to create a standardized format with a link that is controlled centrally. Then you can change the social media link when you have new content you want shared on social media. This is important since your email gets through to people who know and trust your employees. They’ll open the email but may not be following you on social media. 10. Measure the results of your employees’ social sharing. As with any marketing plan, it’s critical to track your results back to your initial objections. Get your employees to support your organization’s social media efforts via their personal social media profiles. Don’t think that someone’s too old to participate. 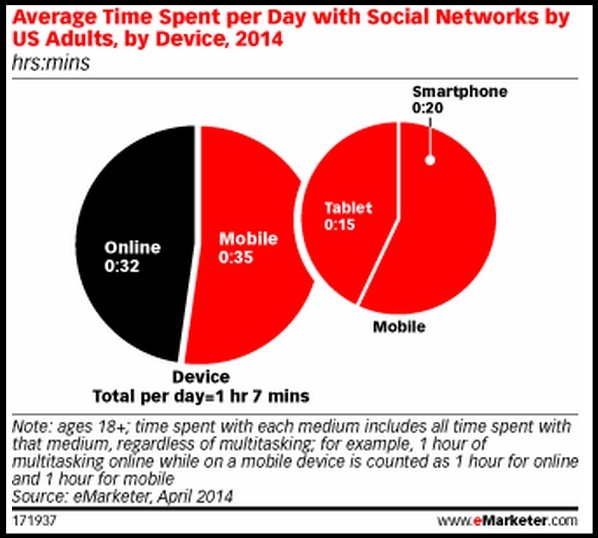 (Research shows that the 65+ demographic is the fastest growing one on social media.) Get your best employees involved planning your big social media initiatives to get a fresh point of view. What other tips would you add to this list to entice employees to share your corporate social media? Tags Business Social Media, corporate social media engagement, Employees, Pew Internet, Social Media Guidelines, UMass Dartmouth Research. Bookmark the permalink. DF DIGITAL Brasilia DF – Impressão digital em grandes formatos, Placas, Banners, Fachadas em ACM, Acrílico recortado, Impressão em Lona, Letra caixa, Adesivos, Envelopamento de veiculos, Sinalizacao e Toldos. Cada vez mais atual, equipamentos de ponta a DF Digital surpreende.